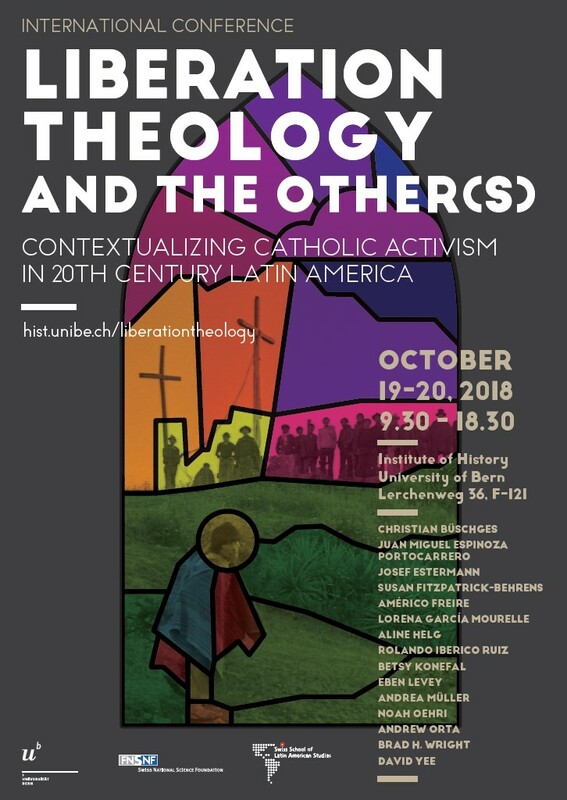 Throughout the past century, political activism within ecclesiastical spheres questioned and challenged both scholarly analysis and popular understanding of the Catholic Church in Latin America and beyond. Since the 1960s, accusations against – and the appraisal of – members of the progressive church, known as ‘red priests’, ‘marxista en sotana’, or ‘bishop of the indians’, can be found across the Americas. At an institutional level, the Second Vatican Council, and subsequent conferences of the Latin American Episcopacy in Medellin (1968) and Puebla (1979), manifested a transnational reform process that led to an aggiornamento of the continental Church. In line with these ecclesiastical reforms, liberation theology emerged in a context of profound political, social, and economic change in the 1960s and 1970s and was celebrated as a new calling for the Church in pursuit of social justice, equality and defense of human rights. Both the global and continental reform process within the Catholic Church and the development and propagation of liberation theologies have been subject to multiple analyses focusing on the exegeses of ecclesiastical documents and theological debates. Within social sciences and humanities, little empirical research has been conducted on the composition, actuation and legacy of actors of the progressive Church in specific geographic settings and social milieus. Pastoral agents and lay people have been involved in religious activism both within the Church and in a variety of religious and lay organizations. Often working towards the emancipation of the other(s), they addressed the Poor, the Indigenous and the Afro-Descendants, as marginalized groups suffering from oppressive political and social structures. While strongly emphasizing the agency and self-determination of the other(s), progressive Catholics experienced the dilemma of overcoming paternalism within a context where social and cultural subjects “in need of liberation” had to be imagined and addressed from a religious perspective. The 50th anniversary of the Second General Conference of the Latin American Episcopacy in Medellín is an opportunity to reflect and discuss concrete repercussions that progressive Catholicism had on societies in Latin America. Focusing on interdisciplinary, empirical research, the conference will address different topical areas related to research on progressive Catholicism and its relation to the Other(s): development and modernization, politics and social activism as well as identity and ethnicity. Welcoming scholars from different disciplinary and geographic backgrounds, the conference aims to offer a space for debate and discussion among academics, students and visitors interested in analyzing the social and cultural history of Catholicism during the second half of the 20th century as well as its contemporary impact in Latin America.